Our doctors use a "whole person approach". This approach to wellness means looking for underlying causes of any disturbance or disruption (which may or may not be causing symptoms at the time) and make whatever interventions and lifestyle adjustments that would optimize the conditions for normal function. 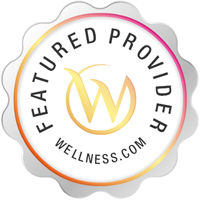 Using this unique approach, Dr. Jenn & Dr. Steve are able to help you to accelerate and/or maintain your journey to good health. Services Steven D'Antonio practices at 305 Farnum Pike, Smithfield, RI 02917. Chiropractors diagnose and treat common spinal misalignments that can occur from lifestyle or injuries causing pain, discomfort and degenerative conditions. Steven D'Antonio may be able to treat; back pain, sciatica, neck pain, shoulder pain, headaches, sports injuries, and auto accident injuries. To learn more, or to make an appointment with Steven D'Antonio in Smithfield, RI, please call (401) 233-2211 for more information.